We are encouraging everyone to organise their own local community event with help from the Council. 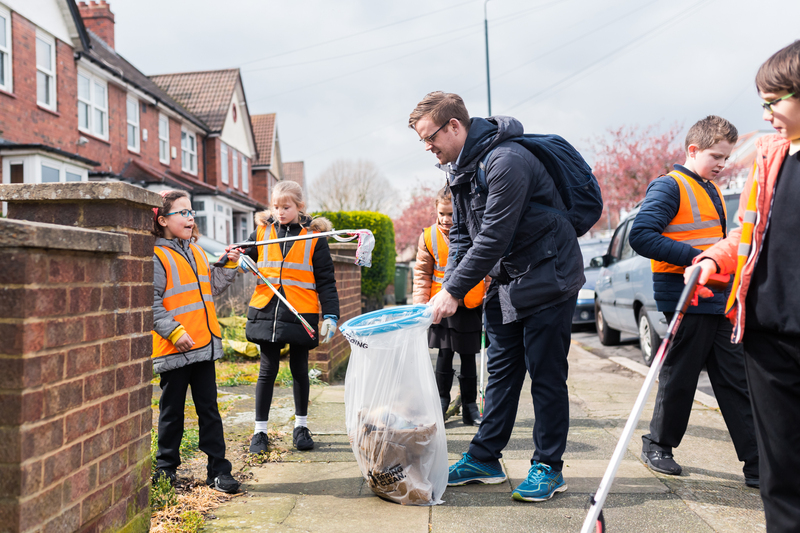 All you need to do to take part is register yourself or group at keepbritaintidy.org and let us know the date of your event - anytime from 22nd March to 23rd April. You may have seen our four legged friend Maggie, who loves picking up plastic bottles and recycling them with her owner. View her story and #BeMoreLikeMaggie! “The Great British Spring Clean is a great initiative to get people to help improve the environment in the borough. During the month, we will provide advice, support and equipment to all of our residents wishing to take part, as well as schools and community groups. “We already have many initiatives to increase recycling in the borough, including over 130 environment champions and have a team of waste advisors who engage with residents to advise them on how they can help improve their recycling.